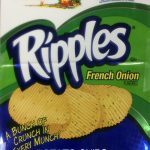 Old Dutch Potato Chip Recall Announcement– On December 14, 2016, Old Dutch Foods Inc. recalled a variety of potato chip products due to potential Salmonella contamination. Old Dutch Foods Inc. has recalled a variety of Flavored Potato Chip and Tortilla Chip products that were made with milk ingredients. Old Dutch Foods Inc. Is one of the many companies that has recalled their products that contain seasoning supplied Valley Milk Products LLC. This milk ingredient seasoning has the potential to contain Salmonella. 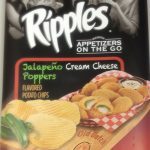 The recalled chips were distributed nationwide through grocery and other retail stores. Please see the Press Release for the list of recalled chip products. Salmonella is a bacterium capable of causing a serious and sometimes life-threatening infection known as salmonellosis. One of the most common foodborne illnesses, it can occur when food contaminated by Salmonella is eaten.